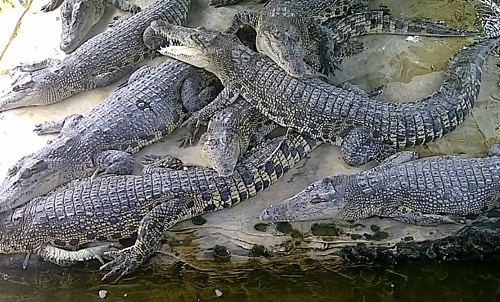 Crocodile Teritip Breeding is residing in east of the airport, 27 Km from downtown, there is place of crocodile breeding. Visitor can feed to crocodile with a chicken that bought in that place, seems become entertainment amusement for some people. The numbers of crocodiles in breeding with 5 Ha widths are about 3000 tails that consisted of three types that is Muara Crocodile, Supit Crocodile and Swamp Crocodile. This location can reach by joining with others city transport No 7.